You may recognize the name Bill Parks, Parks the founder and former Commanding Officer of the Carolina’s Chapter has been appointed to the position of Command Master Chief. The U.S. Navy Flight Deck Veterans Group Board of Advisors has selected Bill Parks as the very first Command Master Chief, he will assume his post immediately. As the Command Master Chief Parks will take over as Chief Finance Officer and will report directly to FDVG’s Board of Advisors. About Bill Parks: Bill Parks was born in Hampton, Virginia but soon moved on to the next of his numerous “duty stations” with his family as his dad proceeded through a career in the Air Force as a C-130 Engineer.Bill joined the Navy on the Delayed Entry Program on April 18, 1975 and entered Boot Camp on June 18, 1975. 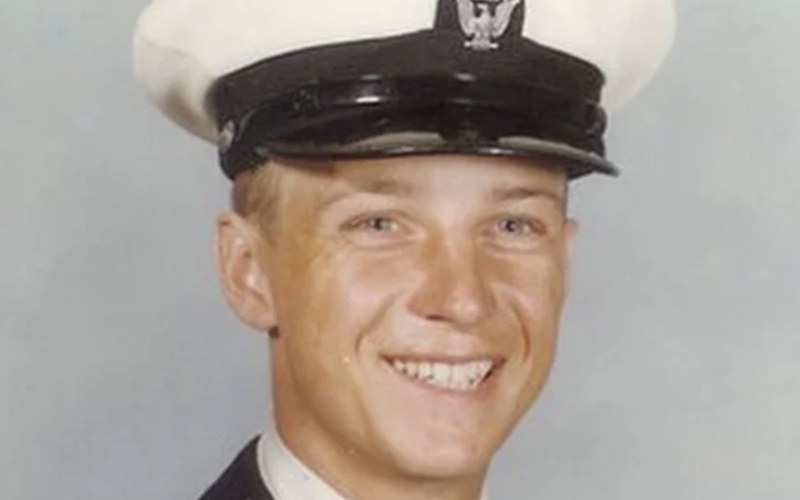 After completing basic training, he attended Aviation Ordnance (AO) A-School in Millington, Tennessee, followed by FRAMP training with VF-124 at NAS Miramar. Bill was then assigned to F-14 Squadron VF-14 Tophatters, where he served in the AO Shop from April 1976 until his release from active duty in June 1979. During his tour with VF-14, Bill embarked with Carrier Air Wing One (CVW-1) aboard USS John F. Kennedy (CV-67) for a North Atlantic NATO Cruise in the Fall of 1976 and two Mediterranean Cruises in 1977 and 1978-79, where he served as a member of the CVW-1 Integrated Arming Team. Bill also embarked with his Squadron aboard the USS Dwight D. Eisenhower (CVN-69) in late 1977 for Ike’s Shakedown Cruise in the South Atlantic. After receiving an Honorable Discharge in 1979, Bill used his G.I. Bill benefits to earn a BA in Political Science, a MS in City Planning, and a Master of Public Administration degree. Bill and his wife Lee Ann have been married for 32 years, have three grown children and six grandsons, and currently lives in Charlotte, NC.